Gardening, Irrigation, Outdoor Living Spaces | Haney Landscaping, Inc.
A gardener? An irrigation expert? No, a true landscaping professional. Before we discuss custom gardens, let's discuss gardens in general. Gardens improve our quality of life by providing a personal contact with nature, encouraging physical activity or involvement, perhaps as in a food garden, and even cleaner air. A garden can provide you a place for quiet reflection, a place to enjoy beauty and revitalize, a place to learn about nature, and a place to create nourishment for you and your family. Landscapes and gardens create a definite sense of place, a sense of permanence. Custom gardens do all the aforementioned, and are unique gardens that are creations that accent or enhance specific themes or styles of a landscape. They are our personal havens, custom-designed to our specific needs and desires. All of these gardens offer the opportunity to create unique surroundings and add ongoing beauty to your home. 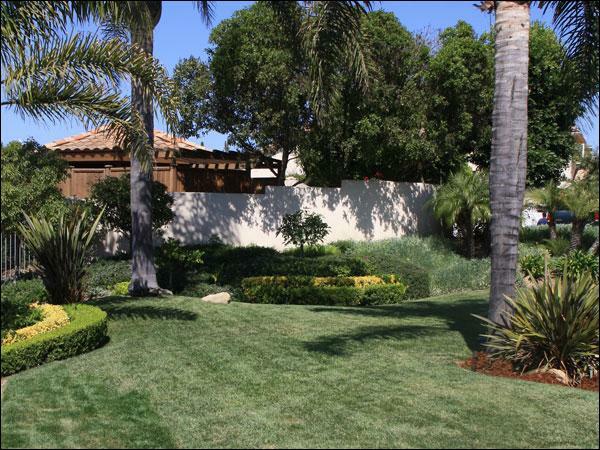 While we cultivate and manage gardens for clients all over South and Central California, we primarily serve Santa Barbara, Carpentaria, Ojai, Ventura, Camarillo, Oxnard, Thousand Oaks, Westlake Village, Agoura Hills and Newbury Park.